Are you a member of a parent support group or teacher organisation and looking for exciting school fundraising ideas that will help raise money for your children's classes and schools? Are you planning to organise an international day or a christmas, winter or spring fair? 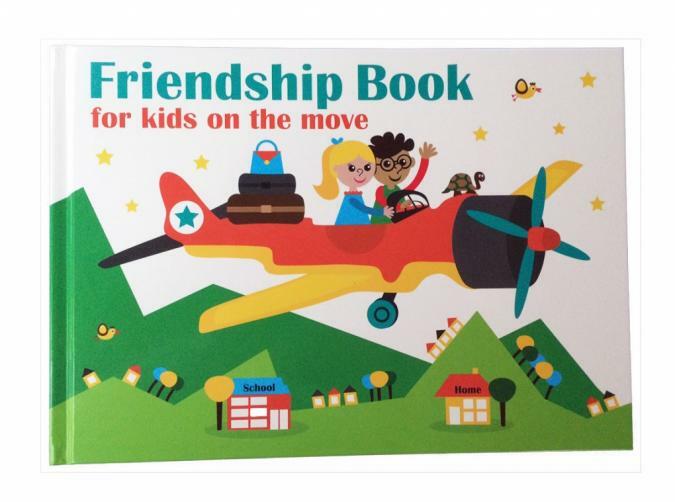 What about selling Friendship Book for kids on the move? Having Friendship Books on sale shows you understand expat life, and gives you another opportunity to raise funds for school, or any charity. This colourful illustrated book is the perfect gift for your primary school pupils: it makes it easy for them to collect messages and memories from their friends, to treasure when they have moved. Having such memories helps children to say goodbye, to remember their friends, and to stay in touch. A perfect keepsake!